The Huorns mostly stood as dark trees in the deepest forests, gnarled and unmoving, yet watchful. When aroused in wrath they moved swiftly as if wrapped in shadows, falling on foes with deadly and merciless strength. Or in other words, they swallowed foes. It's the Huorn forest that came to Rohan's aid, but I'll give it to you. The land had changed. Where before the green dale had lain, its grassy slopes lapping the ever-mounting hills, there now a forest loomed. Great trees, bare and silent, stood, rank on rank, with tangled bough and hoary head; their twisted roots were buried in the long green grass. Darkness was under them. Between the Dike and the eaves of that nameless wood only two open furlongs lay. There now cowered the proud hosts of Saruman, in terror of the king and in terror of the trees. They streamed down from Helm's Gate until all above the Dike was empty of them, but below it they were packed like swarming flies. Vainly they crawled and clambered about the walls of the coomb. seeking to escape. Upon the east too sheer and stony was the valley's side; upon the left, from the west, their final doom approached. The Orcs reeled and screamed and cast aside both sword and spear. Like a black smoke driven by a mounting wind they fled. Wailing they passed under the waiting shadow of the trees; and from that shadow none ever came again. He turned and gazed in wonder, first at the wood and then at Gandalf. 'Once more you come in the hour of need, unlooked-for,' he said. I'm not the final doom. - no, Gandalf and Erkenbrand are described thus but the forest is not. I serve myself. - indeed, the huorns do what they would. They helped out in the battle but only for their own revenge. I come and go. - without warning. I do not parley. - silent things, don't negotiate with Saruman. Saruman and the Ents are a little Macbethan. "I will not be afraid of death and bane till Fangorn Forest come to Isengard!". I'm sorry if the riddle and the clues were misleading. I thought the riddle would be pretty simple, as it's based on the text elements. But maybe it was too muddled a way to present the topic. Over to you now! Well done! Last edited by Urwen; 04-16-2019 at 09:06 AM. I think the point of a riddle is to be misleading... We all (well, I all, at least) just got hung up on the idea that it had to be something evil. But, "the words were not 'the doom of Minas Tirith'..."! 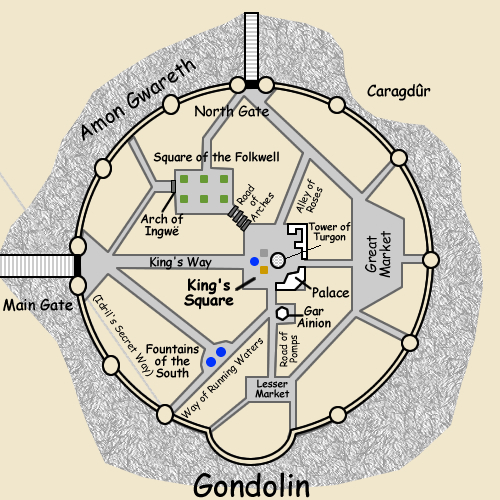 As for yours, my instant thought, what with all the Gondolin talk, is 'The White City', ie, Gondolin and Minas Tirith. But I don't think it quite fits perfectly. Well, with the same Gondolin talk, Gollum and Maeglin? You forgot to name the speaker. Well, it's always "you and I", with nothing to differentiate them, so either one could be I and the other one is You. Fair enough. I couldn't think of anything that differentiates them which rhymes with the rest of the riddle. I originally had a different vague idea, but thought I'd make a simple and easy one for a change. And thanks for providing me with the riddle theme. You deserved an easy one. I don't have anything ready and I just went, so if someone wants to step in with a riddle they are more than welcome. Anyone? All right. I don't like making two riddles in a row, but if no one else steps up soon, I'll have to. Right, in the interest of revival, here is another easy one. Unless you're again riddling about your favourite topic of father and son being sent off a cliff by father-in-law and son-in-law. Well, looks like this thread is officially dead. Rest in peace, Riddles in the Downs thread. Imma miss you. Say hi to Turin, Urwen, Nienor, Aredhel, Tar-Miriel and Maeglin, would you? Well, then so is everyone who went to sleep for longer than 3 hours. I don't know. I don't have another answer yet. Do you solemnly swear to continue the game should your first answer be declared correct? I solemnly swear that I am up to no good... wait, wrong fandom. But the point stands. Yeah, I will cobble together a riddle if this turns out to be right. My mistake. When I asked that question, I had your previous idea - that of landmarks - in mind. Read the bolded. That's your hint. I am now thinking along the lines of the sibling suicide. It seems like you're hinting at geographic landforms, possibly even cliffs, but which? There are three 'over the edge' deaths in Gondolin - Eol, Maeglin, and Glorfindel - and the first two are over the same cliff. It could be the abyss by Cirith Thoronath talking to Amon Gwareth, if we're ignoring Eol as being too long ago. Though of course, the riddle says they're not the same... hrm. Can we assume that the two in question are responsible only for two deaths, ever? You are close, but not quite there yet. Last edited by Urwen; 04-18-2019 at 04:45 PM. I'm out of town for a few days and wasn't able to check the Downs or give this a thought. I'll be back in the game when I'm back in town. Okay... how about either Caragdur (where Eol was thrown off) or Amon Gwareth as a whole (for Maeglin's death) as 'you for the first', and the Tower of Turgon as the second, where Turgon died in a similar fall? Amon Gwareth/Gwared, "Hill of Watching", is the name of the entire mount on which Gondolin stands. It has one named cliff, Caragdûr, "Dark Spike", on the north side, over which Eol was thrown. That's why the map shows the 'hill' colouration dipping in at Caragdûr, to indicate the cliff. So... do my various efforts at 'cliffs wot people got shoved off' count as a correct guess, taken in the aggregate? ?